A contemporary and stylish design dome ceiling pendant with a white marble resin that looks like a heavy solid material but is in fact lightweight and translucent. The inside of this shade is classically scalloped like a crimped seashell edge which is only visible from certain angles for an architectural appearance. The light is suspended on a white braided cable which can be shortened at the point of installation for use in rooms with lower ceilings, this would be great for over table and kitchen island lighting. It is also suitable for use on a dimmer switch providing the bulb used is also dimmable. Here at The Lighting Company we have a huge and ever growing range of lighting for all settings. 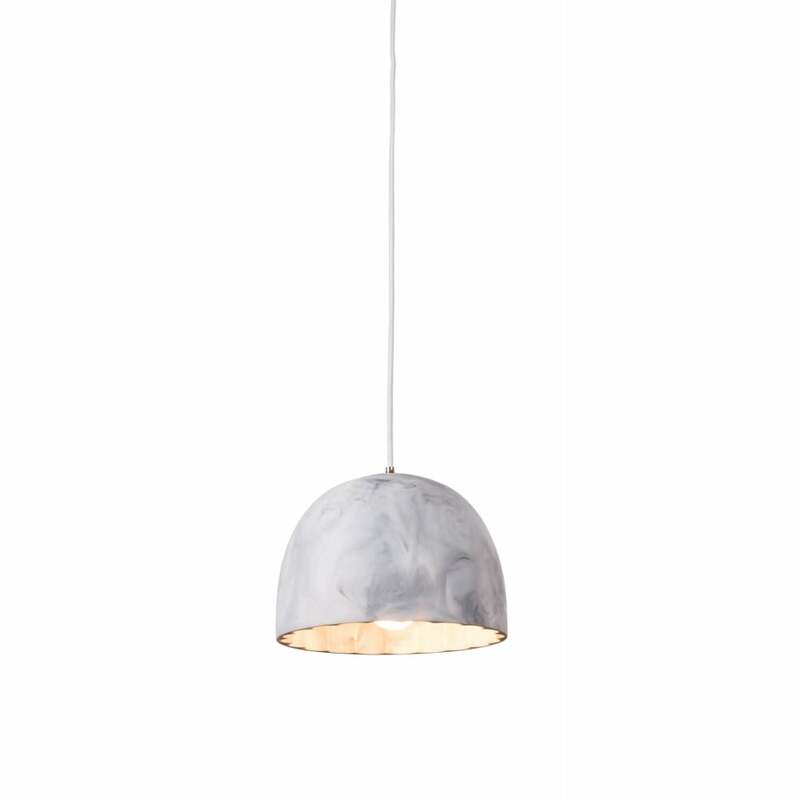 To see more ceiling pendant lights click here: Ceiling Pendants.